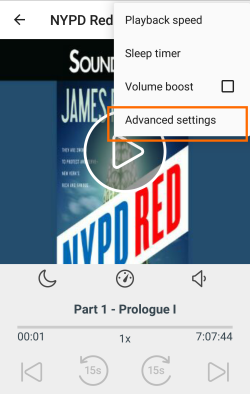 If you're using OverDrive for Android, Fire tablets, or Chromebook, you can boost the volume in audiobooks that are too quiet (even when they're turned all the way up). Open an audiobook from the app bookshelf. Tap to turn on volume boost. When volume boost is on, the icon will look like this: . Every audiobook sounds a little different, so you may need to adjust the volume boost for each one. Follow the steps below to increase or decrease the volume boost level. Adjust the boost level with the plus and minus signs under "When volume boost is enabled..."